Blizzard is really getting into the holiday spirit. Every player that logs into Overwatch by the end of the day will receive five free winter loot boxes. Yes, you heard us, five. Free. Overwatch’s Winter Wonderland event started on Dec. 11 and runs through Jan. 2. Some maps have been updated with a festive feel, there are new winter-themed skins for some heroes, and the two seasonal brawl events—Mei’s Snowball Offensive and Yeti Hunt—have returned. 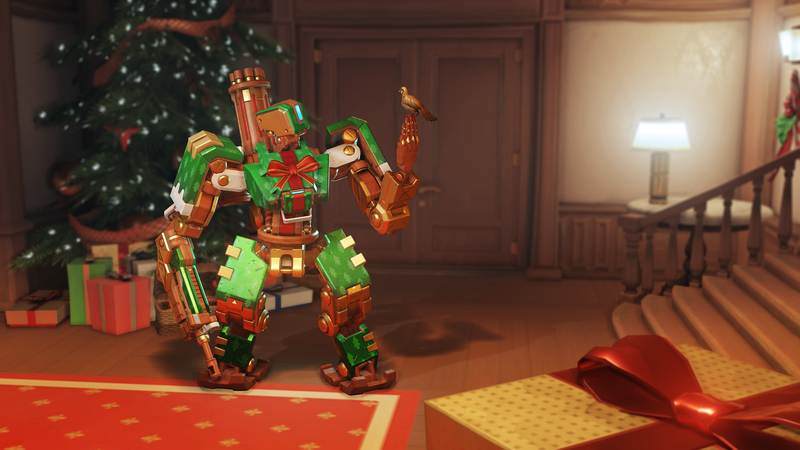 All of the Winter Wonderland skins, sprays, emotes, and voice lines are available in the holiday loot boxes, as well as the regularly unlockable items. And while there’s no guarantee what you’ll get in your five free boxes—aside from a guaranteed one winter item—here’s hoping you get one of the new legendary skins. Personally, we’re holding out for Arctic Fox Lúcio.